I was really amazed at the performance of PowerFlashPoint. Apart from sharing it through web it reduced my file to 90% with accurate conversions. Now i am a regular user of this software. PowerFlashPoint not only converts your presentation into Flash, it also provides additional features such as insertion of flash and YouTube videos which are much more convenient than the one available in PowerPoint. While PowerFlashPoint is not packed with tons of features, it does what it is supposed to do and does it accurately. If you are looking for a PowerPoint to Flash converter, this is one which you can go for. PowerQuizPoint Maker is a useful automated solution for creating quizzes within PowerPoint, particularly with the added functionality of being able to calculate score. This software could be particularly useful for teachers and lecturers, or training presentations within a corporate setting. It clearly promotes interaction in an audience, and tests audience knowledge and understanding. I wanna congratulate you for the excellent PowerVideoPoint, that has saved me because of a work I have. With your software, I was able to successfully convert a PowerPoint 2010 presentation to a QuickTime Movie thanks to your software. I really recommend it. God Bless you, and bless also everyday the creativity you have. Thank you DigitalOfficePro for the fantastic Baseball PowerPoint template. We are a large baseball organization in the mid-west US. Annually we gather our coaches together to introduce our spring program. Each year we are always trying to step up our game for our conference. Having the digital slides made all the difference for us. The professional look set us apart from not only our typically slide show, but other programs around the area. We received several comments from our coaches on how impressed they were with the digital slides. Many asked how we were able to pull it off. 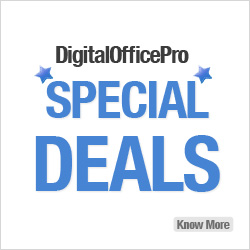 We made sure that DigitalOfficePro was mentioned to our members.